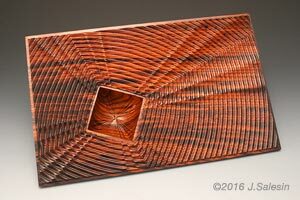 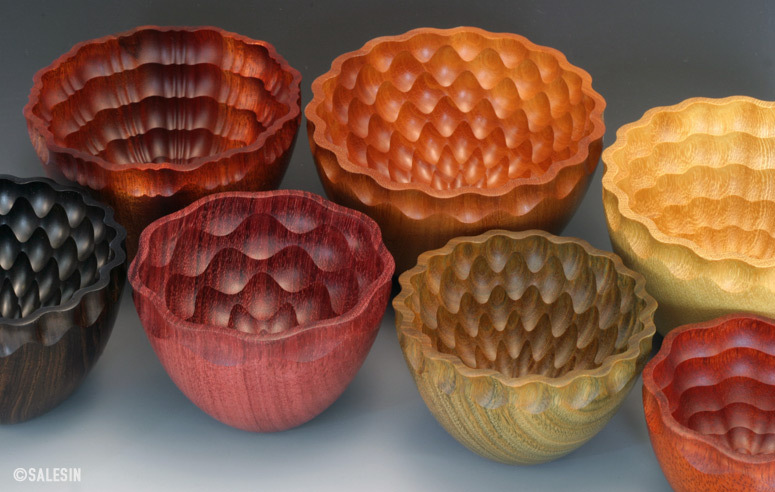 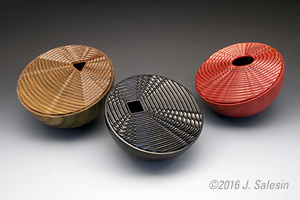 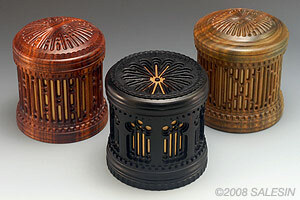 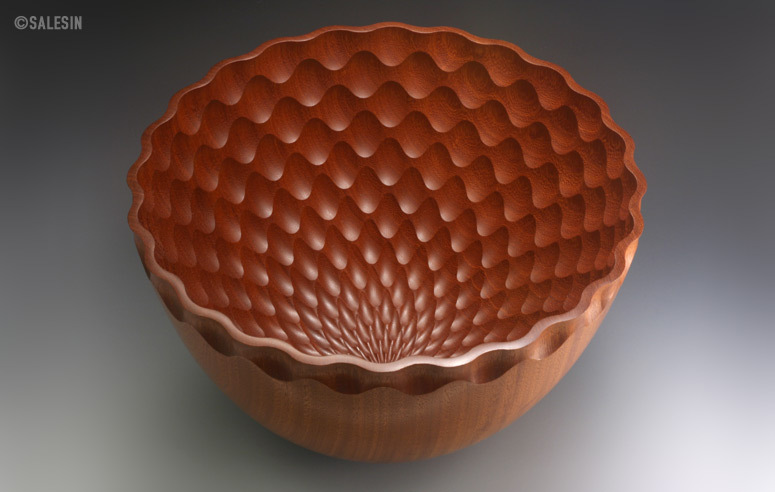 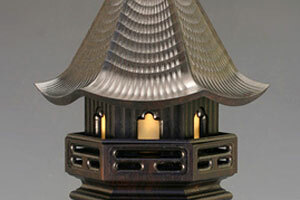 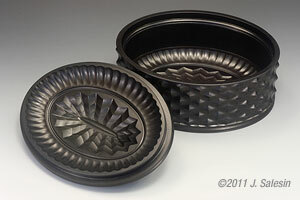 The Pattern Bowls combine detailed ornamental turning with the natural colors of exotic hardwoods from around the world. 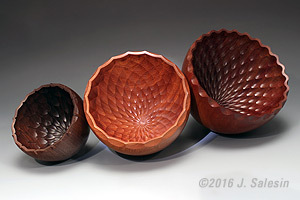 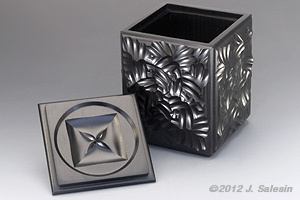 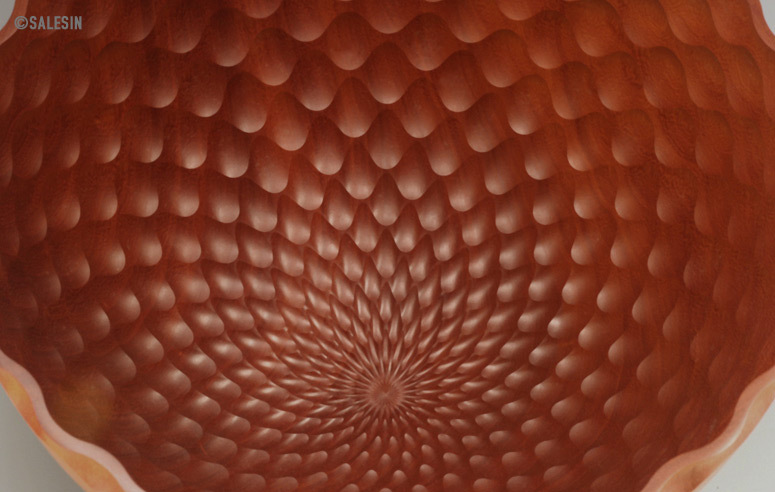 The resulting vessels are larger than the Mandala Cup Series (as large as 10" diameter) and radiate expanded designs that interplay with subtle variations of the wood grain. 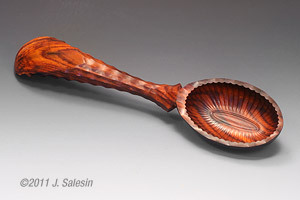 Material:Bloodwood, osage, yellowheart, padauk, lignum vitae, purpleheart, blackwood.